Rehmeyer Wood Floors of Shrewsbury, Pennsylvania manufactures a full range of custom milled and stock wide plank hardwood flooring. Rehmeyer flooring is all 3/4″ solid hardwood and is sold unfinished, prefinished or completely custom finished to suit your project. Contact Rehmeyer Precision Millwork, Inc. to learn more about their custom wide plank hardwood flooring by calling toll free (888) 474-4047 or (717) 235-0607. The design of a formal space, whether residential or commercial, relies very heavily on the type of hardwood flooring installed. Many of the decorating elements of this space will be chosen based on the aesthetics of the flooring, including the color, grain, and characteristics. If your desire is to create a formal atmosphere and décor, you may have to carefully choose a wood species that will have clear uniformity, with virtually no character marks or knots. By avoiding character marks and choosing a wood species with a relatively straight grain, the uniformity of the wood will exude a formal air to complement your décor and decorating style. If you are choosing a wood for your formal dining room, you may consider installing a Prestige Collection Mahogony, an often popular choice with customers. With a rather straight grain pattern, there are little to any character marks, offering a uniformity in this hardwood flooring option. Because of its hardness and durability, if you properly care for your dining room floor, mahogany will last a great deal of time, and the red-brown and golden brown color tones will only dark over time, clearly accentuating an air of warm elegance. Also darkening over time, a clear grade Cherry floor would offer a truly timeless appearance with the medium to dark reddish brown heartwood and a slightly lighter toned sap wood for your formal setting. If you are looking to lighten up your business meeting space, a Prestige Collection Ash floor by Rehmeyer will add an air of freshness with its naturally white coloration, which could even be showcased with a water-based finish or finished with a Tung Oil, offering a golden hue to the space. Chosen for its beauty and strength, an Ash hardwood floor will create a naturally glowing atmosphere that should revive your office meeting space. Walnut, known as a hearty hardwood flooring option, creates an elegant floor with warm brown tones, unparalleled in quality. 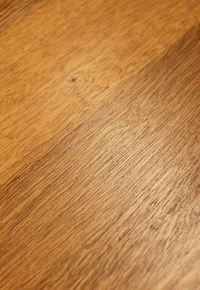 Sophisticated, this hardwood floor would unify a banquet room or formal dining area of a hotel or business. Creating a deeper appearance, a Tung Oil finish would not only protect the hardwood flooring, but also create a more visual appeal to visitors of your business. 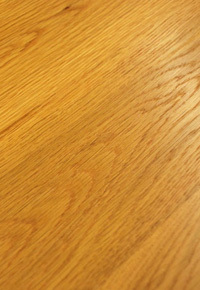 If you are looking for a practical option for your heavily traveled formal area, a Prestige Collection White Oak by Rehmeyer is simply beautiful, with natural blonde undertones. Recognized for its hardness and stability, a White Oak would complete the needs of many commercial or even residential builders, combining stability, durability, and aesthetics. However, if you simply want to stun a customer or client in your business or even a guest in your formal home, Rehmeyer’s Prestige Collection Purple Heart is naturally bold and sure to inspire awe in your visitors. 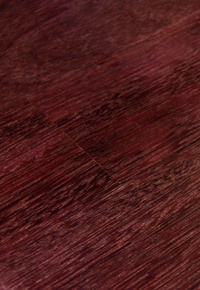 The fine grain, combined with the amazing, purple coloring sealed with a water-based finish is simply stunning and transcends any standard hardwood flooring option. Responsibly harvested from Central and South America, this hardwood flooring fits well in a Wine Cellar, kitchen, or commercial space, such as an upscale, sophisticated jewelry store. 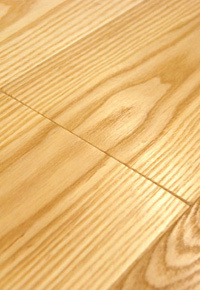 Equally awe-inspiring, a clear grade Birdseye Maple is possibly one of the most unique hardwood floors available today. Sought out for not only furniture, but now flooring, the creamy natural color and characteristic bird’s eye markings has limited availability, so it may require extra lead time. 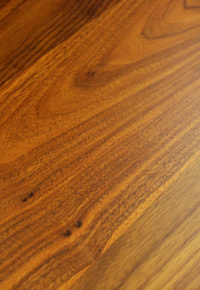 However, the wait is worth it; while the natural phenomenon that creates the Birdseye Maple has not yet been uncovered, this type of wood is certainly a showstopper, centerpiece, and conversation starter. Prestigious and respected, the Prestige Collection offered by Rehmeyer Wood Floors will emphasize and compliment your formal setting, be it a formal dining room in your home, a formal conference room in your business, or a formal banquet hall at your hotel. Often showstoppers and conversation starters, the Prestige Collection of hardwood floors will be the one element in your formal setting that will complement the sophisticated atmosphere you wish to create for your clients, customers, and guests. Contact Rehmeyer Wood Flooring today toll free at (888) 474-4047 or (717) 235-0607 to learn more about their Prestige Collection or their other collections of custom wide plank hardwood flooring. Visit their website at RehmeyerFloors.com.